In such a turbulent market, there are two things a seller can do when selling a home: price the property competitively, and ensure the property is in absolutely perfect condition. The more choices the buyer has, the more critical the showing condition. Right now there are 762 homes on the market in Pearland. 74 of the 762 homes are new construction. This means as sellers you have to prepare and be competitive. Before placing the home on the market, clearly establish how long you will leave it for sale. Having an accurate picture of how long you can have your home on the market will help you to price it correctly. In such a volatile and competitive home selling market, someone with experience can lend immeasurable assistance in effectively selling a home. An experienced Realtor has done the same thing many times, knows how to promote the sale, and sell the home more quickly than an inexperienced Realtor. PearlandHomeTeam has a full staff of professionals ready to assist at every level of the selling process! Often, when sellers price their homes too high, they end up chasing the market down -- whether they realize it or not." Price is critical. When you are attempting to arrive at a price for your home, take a close look at homes competing against you, outside and, if possible, inside. Overpricing your home will cause it to sit on the market for an extended period. Eventually your listing will become stale and you may receive many lowball offers from buyers who are simply fishing to see how low you'll go. If a home is slightly underpriced you can generate more attention and improve your chances of getting a qualified offer. The earlier you get a contract the closer you will get to the listing price. Today, potential buyers can shop and find virtually everything they want to know from the comfort of their living room easy chair. Having Internet-based advertising is a must. A great real estate firm is one that has a reputable online presence. A virtual showroom with lots of pictures will go miles further than a snapshot in the local newspaper. Being the best valued home doesn't necessarily mean the lowest priced! It may mean having more goodies for the same price. It may mean having a lower price, but the buyers have the information and prices of what's available and they will choose the one that is the best value. 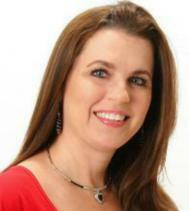 Listing your Home with Pearland HomeTeam & Maggie McFarland.